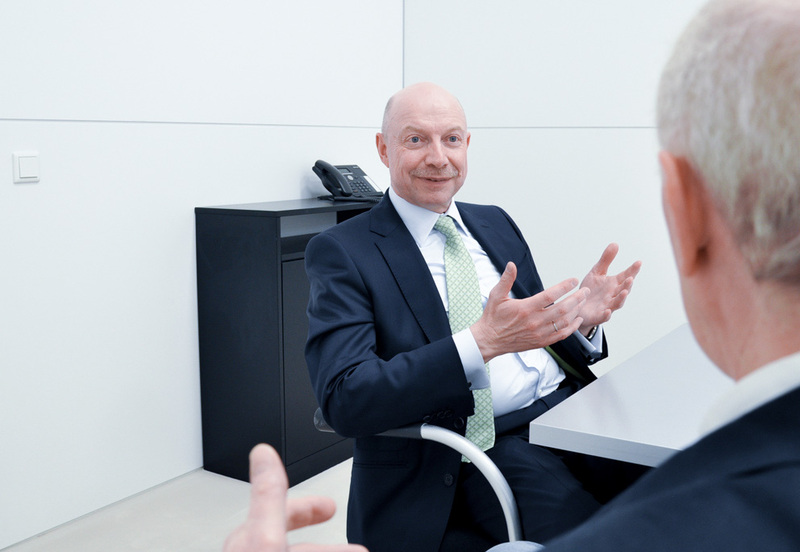 Thomas Wagner: Mr. Dornbracht, what prompted you to focus your company’s claim more on culture and less on water? 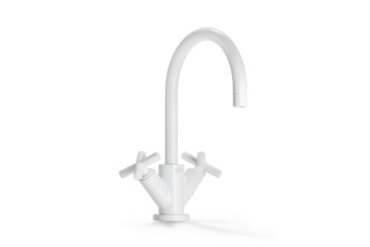 Andreas Dornbracht: Don’t worry, as a fittings manufacturer we still have a great deal to do with water. What can water do, what role does water play in the bathroom, what role does water play for the health megatrend? – these are and will remain key questions and topics for us. The issue of culture involves somewhat different questions: How is our living environment changing? How can we use our time in gainful ways? We are pursuing a kind of culturing strategy. I believe there are two reasons for this. The first concerns the role of the bathroom. We have repeatedly spoken about this in recent years, but the direction in which the bathroom is evolving remains exciting. The second is that, in terms of design and bathroom architecture, or, perhaps I can say, design and material, we are in a phase that could be described as a culture of fine distinctions. Meaning, we don’t simply want to wow people with a new product in our communications, but actually argue which subtleties and details make a product different, perhaps even unique. In fact, this is a cultural question. It’s like salt and pepper. We used to just have one kind of salt and one kind of pepper at home. Today we appreciate the many, in part very different spices available. We enjoy the differences. When I talk of culture, I am actually referring to valuing differences. You have been active in the cultural field for some time now, for instance as a sponsor of art projects. Dornbracht: Correct. What is important is to look beyond the product and find inspiration elsewhere and, of course, to be a driving force yourself. 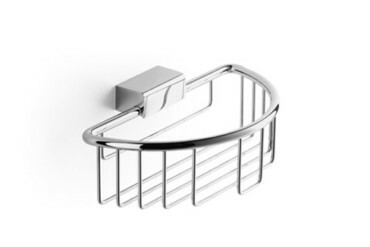 As a manufacturer we are a fittings manufacturer, as a brand we see ourselves as a driving force and inspirer – in the field of bathroom architecture as well as beyond it. Take a topic like “connectivity” or the “Internet of things”. I believe the brand needs to assume this role, in the sense of a claim, too. “Spirit of Water” was clearly restricted to the theme of water. “Culturing Life” has a much greater scope, encompasses more. “Culturing Life” expands the perspective. There are surely advantages and disadvantages to that? 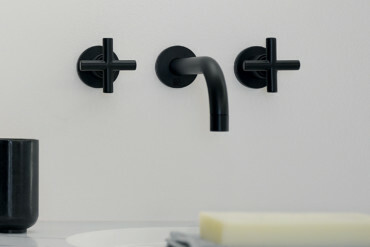 Dornbracht: Greatly expands it, yes, and of course that has advantages and disadvantages. Let’s put it this way: It is a lofty claim, after all. Take the health megatrend, for instance: And apply the claim: Then we don’t simply say that the bathroom is part of or a platform for a personal health strategy. We say that if we talk about personal health strategies in the context of the bathroom, we also need to talk about the bigger picture. Meaning, we look for areas for collaboration, networks which we can become part of. Off the cuff this means that I would like to talk to a mattress producer about healthy sleeping or to a manufacturer of household appliances about healthy cooking. We want to involve other areas of life, at least as far as interiors are concerned. Does that mean, to put it cautiously, we would all do well to cultivate ourselves more than hitherto? 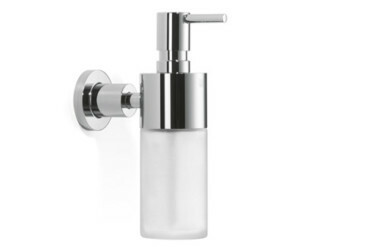 What does that mean in areas such as health, wellness, the bathroom and water consumption? Dornbracht: The key idea is personal responsibility. That is what we need to cultivate more strongly. And that is what we wish to promote, for instance, under the heading of “personal health strategy”. Ultimately we want to encourage people to do something for themselves. After all, as far as prevention is concerned we can’t simply rely on the state and the community of solidarity. And we are not the only ones to notice that. In a way it was promoted far more strongly in the 1970s with ... what was the name of that campaign? “Trimm Dich” [Get fit], it was called. Dornbracht: Right. It was a big thing back then. Much of it has fallen by the wayside. Of course, fitness is a major topic today, but what is lacking is a holistic personal health strategy. Running 20 kilometers a week isn’t enough. That is only one aspect. A comprehensive health strategy also encompasses stress relief, nutrition, healthy sleeping, preventive measures, strengthening metabolism and the immune system – and in this context the bathroom is just one piece in the overall mosaic. But it’s a very important component in everyday life, is it not? 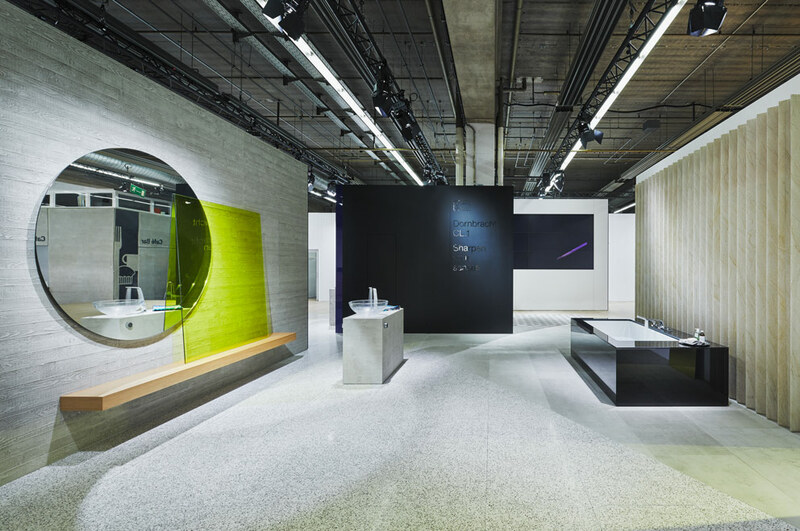 Dornbracht: Yes, the bathroom has a considerable role to play, and if you think about where the topic of personal health could find space, then we believe the bathroom is precisely such a space. And not just because you might have a medicine cabinet hanging on the bathroom wall (laughs). Understood correctly, the bathroom could be a place where various aspects of an active healthcare strategy in the sense of both a coordination and a visualization come together. Which explains your desire to talk to a mattress manufacturer or suppliers of fitness machines. Dornbracht: Yes, that is the reason we consciously included machines by Technogym in our bathrooms. You have three important elements with sleep, water and exercise. Now you just need a good cook. 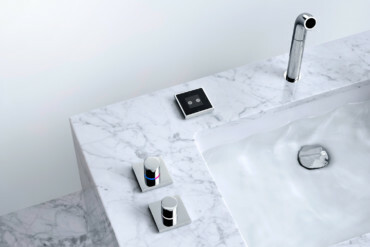 Dornbracht: I recently attended the Consumer Electronics Show (CES) in Las Vegas for the first time – and of course the theme “Smart Home” was the main reason I went. What surprised me greatly was that in the “Smart Home” hall manufacturers from the health sector took up twice as much space as smart home suppliers, whose visions are currently the subject of many a magazine article. I had assumed there were one, two, maybe three manufacturers in the area of “e-health” and fitness wristbands – but there are hundreds. Suddenly companies like Honeywell and ABB, which come from systems engineering, are cropping up there with some ideas or other for the health market that they want to test. 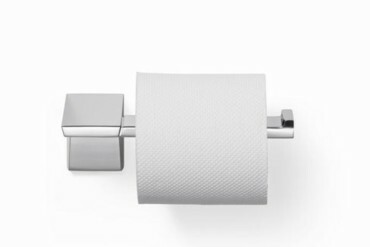 It’s a real megatrend, and that’s why I think the bathroom is set to enter a new phase. For 30 years we have driven an aesthetic evolution, which we are going to continue, but with a view to health new combinations and rituals are now appearing and need to be considered. Will in your eyes health and aesthetics continue to belong together in future? Dornbracht: Yes, of course. But I think we’ll reach a higher level of complexity. This presents a challenge, especially for the bathroom planners and architects who will have to address these processes in future. Take the issue of demographic change: Today 40-year-old building developers pay more attention than a few years ago to the sustainable development of their buildings – especially regarding the bathroom. Nowadays an architect has to factor changing circumstances of life into his plans, anticipate later developments. I find that very interesting. It clearly shows the extent to which health, prevention, and demographic change merge. Have I understood correctly – your interpretation of the concept of culture is decidedly political and linked to that of personal responsibility? Andreas Dornbracht: Yes, political and social. What direction will development take? Dornbracht: The way I see it digital product solutions are not the real trend, rather they enable other trends to be better implemented. Let’s take a simple example: If I have a shower program that optimizes the alternation between hot and cold water at the push of a button and I don’t need to adjust the temperature using the fitting myself, that is quite simply convenience. Such digital products are aids that offer you more comfort and security. That’s how you have to see it. Digitalization is advancing the issue of assisted living, which is currently getting a great deal of attention in the United States. This has of course been the case for years in the fields of communications and information technology. Does that contradict the idea of personal responsibility? 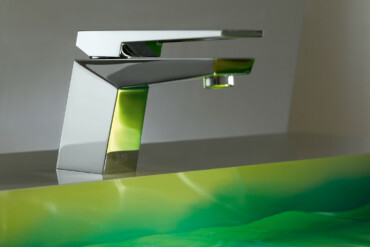 Dornbracht: There is great trepidation when it comes to this issue – you need to be incredibly careful. That’s why we don’t talk about home automation either and why you also need to see the little helpers in digitalization that don’t impose anything on the user or represent the only available alternative. Anything that happens automatically, without my being able to intervene and decide for myself, is problematic. I always think of the air-conditioning in hotels. I need reading glasses to switch it off or adjust it (laughs). The second thing is, as a user I have no idea how these things work. In future the air conditioning will link up to my smartphone via an interface provided by the manufacturer and an app and call up my settings – temperature, ventilator, off. That, too, is convenience. Yes, we all know what it is like not being able to work building technology. 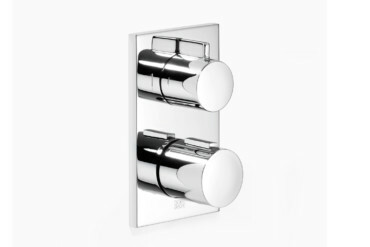 Dornbracht: Convenience is also being able to turn off the light via my smartphone, whereas in a hotel I always have to look for the light switch. Digital technology will be able to provide assistance in all these areas. How important are product aesthetics to you if you are now putting more emphasis on culturing? 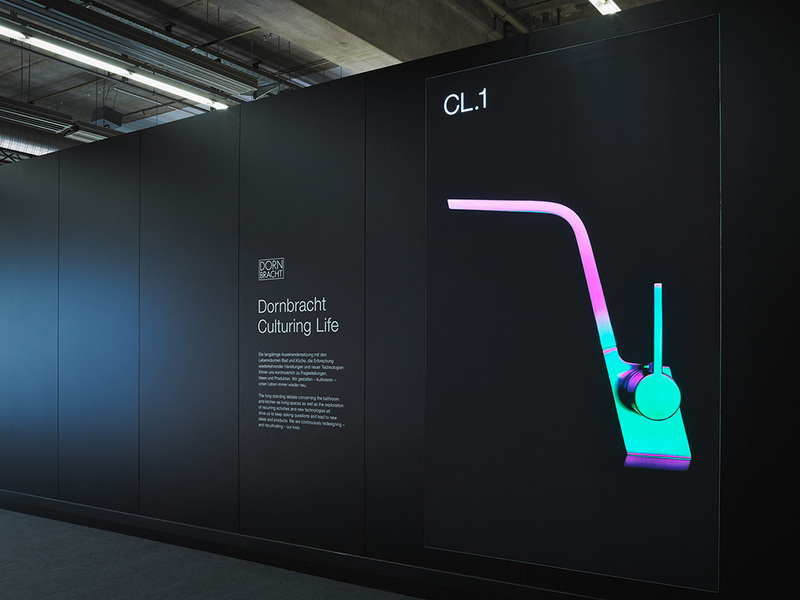 Let’s take the example of the new CL.1 fitting. I wouldn’t say it marks the beginning of a new playfulness, that would be going too far, but we can observe a certain loosening up. Do you now have the confidence to design things that have taken more of a backseat to date? Dornbracht: Yes, that’s true. Let me put it this way: The dogma of the right angle (laughs) is not a dogma anymore. It is important for the brand to risk this evolutionary step. At the same time you have to make sure you are not endangering the brand core. When you speak of a dogma, it smacks of shackles you have put on yourselves. What has led to this stronger focus on hybridization, individualization and collage-like combination? Is your rootedness in the Modernism weakening? 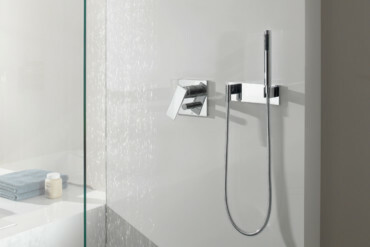 Dornbracht and aesthetics, I never saw that as being really dogmatic. 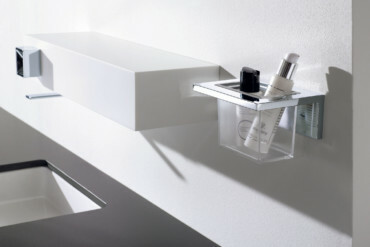 Dornbracht: We have strict rules that we apply to aesthetic decisions and how we evaluate them. We have now relaxed these somewhat, but without betraying our roots. We will not be taking to retro design in future either. When a style needs an upgrade we take that to mean reconceiving and progressively interpreting it. We still consider it our task to advance the aesthetic evolution in the product categories we offer. This is a kind of groundwork. 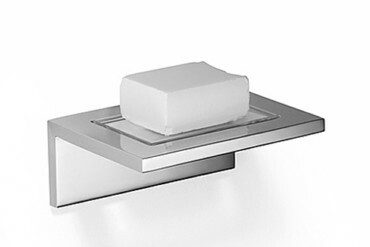 With the CL.1 we succeeded, I believe, in creating a very concise fitting including evolutionary changes – it is very delicate, the outlet does not have a 90 degree angle, but opens at an angle of 105 degrees. If you say that is playful, okay. 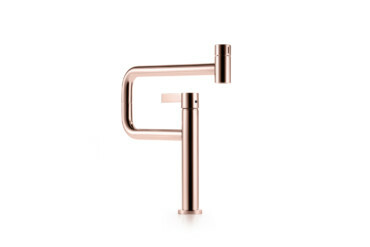 Dornbracht: The handles are likewise not just luxurious, but high quality. We realized together with Sieger Design and Meiré und Meiré that structure has to do with architecture. So we are not talking about luxury structures like a diamond cut, but architectural structures – and they are reflected in a way in the fitting. In all likelihood a luxurious structure would be symmetrical, and that is precisely what we didn’t do. Instead we deliberately made the structures asymmetrical. 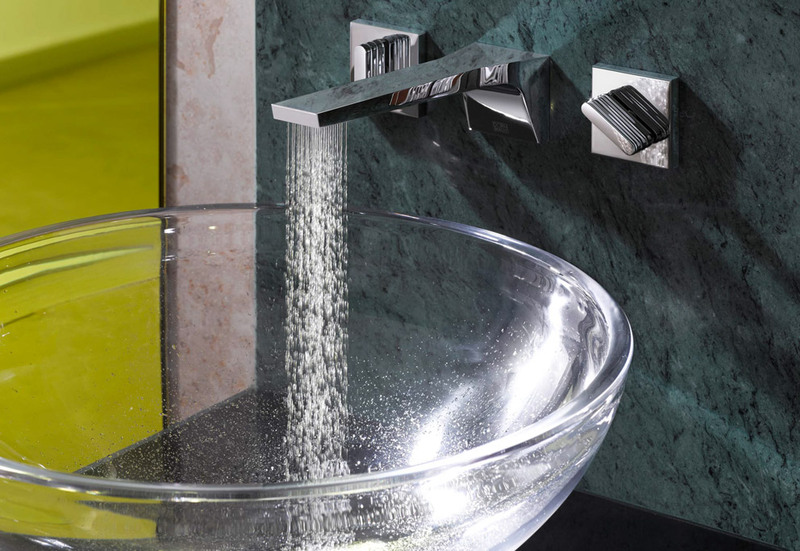 All this shows how we understand the typical Dornbracht culture. But your products are luxury products? 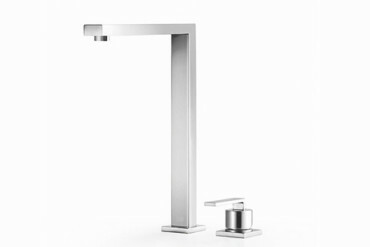 Dornbracht: Yes, they are, but not in the sense of luxury versions whose price is elevated above their usual positioning. For instance, let’s say you’ve positioned a product in the third drawer from the top in terms of price and offer a luxury version that is two drawers up the price scale. Everyone will think: The product must be first drawer and will not take it if they want one from the third drawer. You can all too easily lower a product’s chances by positioning it “too high” – not just pricewise, but in its perception too. Are you more interested in defining your own concept of luxury? Does that also mean disregarding market demands in the one or other country? “The Russians” are the standard example for gilded luxury today. Dornbracht: No, we don’t do that, especially as production will change anyway with increasing individualization. If ever more product concepts are launched on the market that can be individually adapted to customers’ wishes – who knows whether we’ll still have article numbers in 20 years’ time? 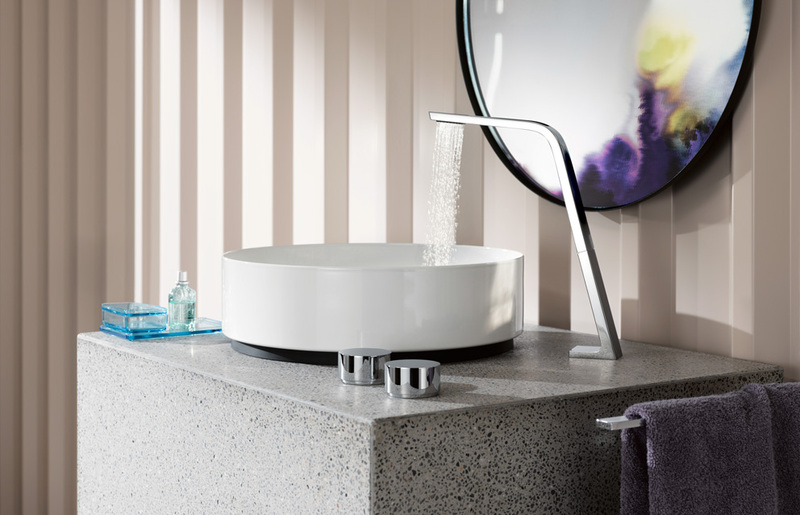 Dornbracht: Yes, but what does that mean? What is a catalog? We are all used to standardized products, that’s more or less been par for the course since the beginning of the 20th century at the latest. People will find it correspondingly difficult to get to grips with complete individualization. Dornbracht: Very true. But we will still have a growing number of customers who want that, and we as a manufacturer have to take that into account. Individualization is after all another key megatrend. 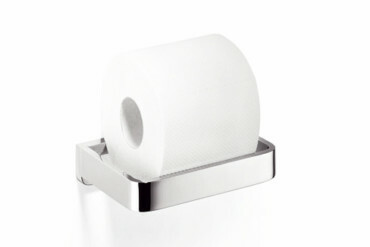 Of course not everyone will have a 3D printer in their home tomorrow that can print a bathroom fitting. In the quality you offer that is relatively unlikely. Dornbracht: What may well happen though is that the customer prints a replacement part. Be that as it may, these are questions you have to consider. Incidentally, in Las Vegas, and this surprised me too, there were more than 100 exhibitors selling 3D printers. 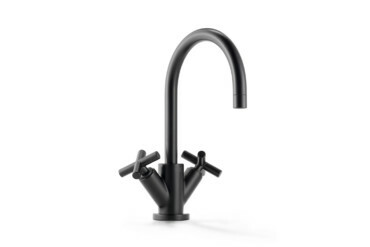 Dornbracht: You could almost believe that when you read in the trade press how many entrepreneurs today undertake study visits to Silicon Valley or the CES trade fair in Las Vegas. Yet we are at home in a sector that is strongly shaped by tradition and highly complex. Meaning that numerous short-lived trends simply pass us by. 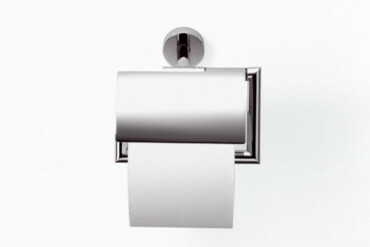 Of course, we could say that soon customers will be able to lease their bathroom. Nonetheless, a bathroom will still be a bathroom. Automotive manufacturers didn’t anticipate having a problem with the topic of “ownership” either. Still, many market players – in the supplier industry, for instance – take a laid-back view of developments. Electric cars shared with others also have to be made, they too require steel supports or carbon panels; they also have wheels and tires. Whether Google or Apple makes a car, you’ll still always need parts. That’s true, we will continue to need and produce mobility systems. Yet the key question is where value is created, i.e., who will make a profit in future – the auto supplier or Google? Dornbracht: In future value creation will be shaped less by the material and production, and more by use, that much is clear. The only question is who will gain control of it. But you are not yet working on sharing concepts for the bathroom? 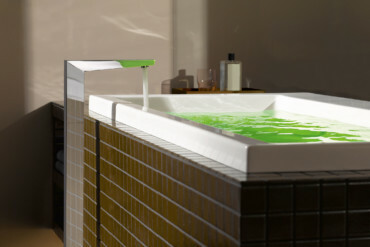 Dornbracht: (laughs) No. When I say we are a complex sector, why is that? 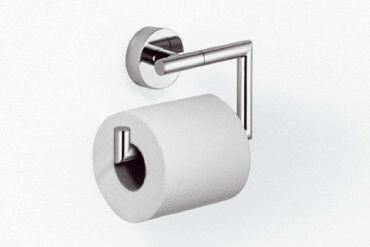 We are actually a steering wheel manufacturer, not a bathroom manufacturer. The customer doesn’t want fittings, he wants a functional bathroom, one that is aesthetically pleasing or serves preventive healthcare measures – and that is a very complex process. To put it in drastic terms, the people at Google or Apple will not produce fittings, I am 100% sure of that. Google didn’t buy Nest because it wants to regulate room temperatures, but because it wants to collect data. Specifically this means for us that we’ll continue to produce the hardware, but in ten years the software, which we still develop ourselves today, will probably come from other firms. Either from developers or from the giants; the interface is another story. We will work with open systems as far as the software is concerned. 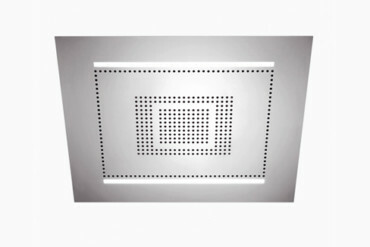 We are the only manufacturer that already works with open systems today, where a product has an IP address and is in principle freely accessible. Naturally we pay attention to data protection. To put it in provocative terms, I have no problem if fittings no longer have levers to operate them, but are operated via smartphone. 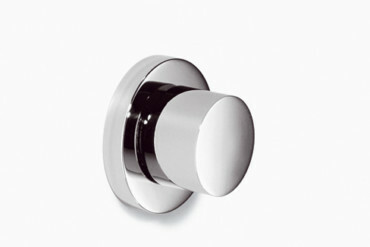 What is important however is the outlet, the valve technology – all that will continue to come from us. It may be that in time we will lose sole control of the interface, that may well happen, but we are aware of that. Won’t it be difficult to use a smartphone in the shower? 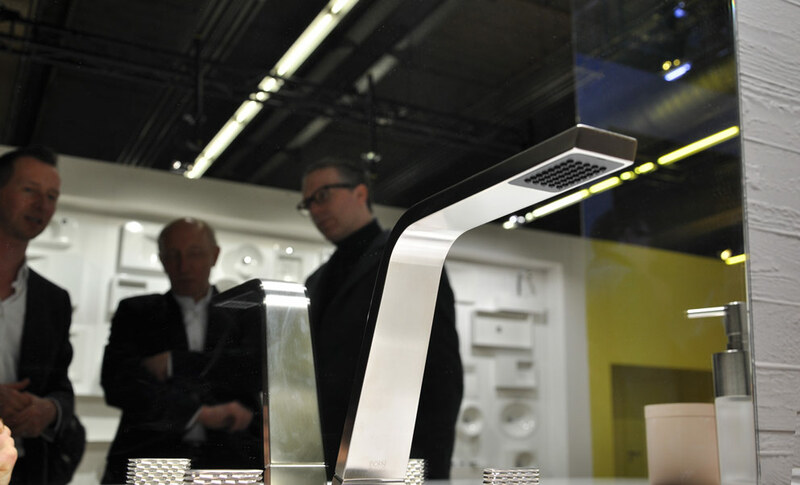 Dornbracht: Here too there will be solutions such as gesture or voice control. Then I’ll operate the fitting by speech, and if that is not an option, by using gestures. In any case there will be ways of making life easier. You are very optimistic. I can always operate a pair of knobs, but I have my doubts as to whether in a foreign country with a foreign language I can set the right temperature of the shower water without scalding myself. And as for gestures, I can see us standing under the shower flailing our arms about and waiting for something to happen. 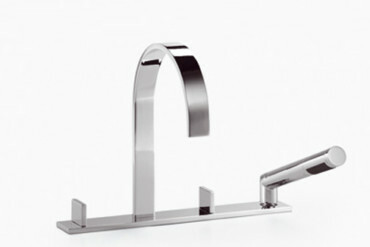 Dornbracht: I did say that that applies to cases in which I can no longer operate the fitting as usual. Today we have “Cold” and “Hot” on the fitting, but soon the fitting will show these words in your native language, because the hotel room will know that you come from Germany, Serbia or China. In principle I already see advantages for users in this, especially for those who are restricted. Generally speaking, we are in a phase of exploration. We are not conducting an experiment, neither are we on an expedition, because we as yet have no idea what we are heading for. It is very difficult to make statements on what our living environment will be like in 2030. But you have to be able to demand of an innovation leader that he takes these steps – carefully, not at the expense of the user, because that would be an experiment, and you should not experiment with users, or with people in general. Then let’s look forward to the new culture together. Thank you for your time.